While digging in my untrieds box this week I found two lovely nail polishes from the Essence Snow White collection that where a gift from my dear 'Chelle. 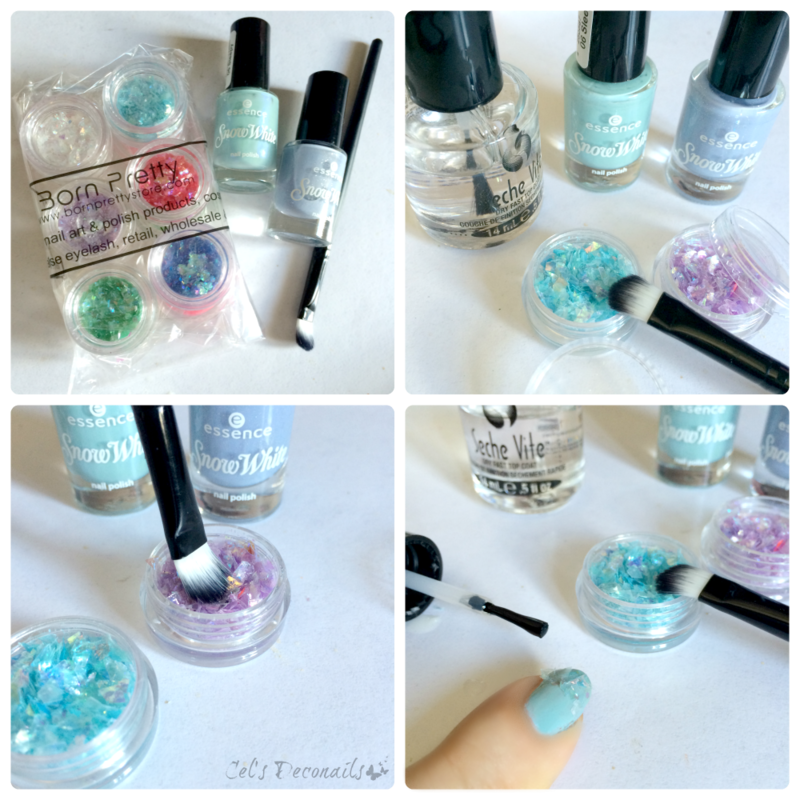 As I was just sent a small pack of nail art goodies for review from Born Pretty Store, including an iridescent crushed shell powder set, a mani idea was born. 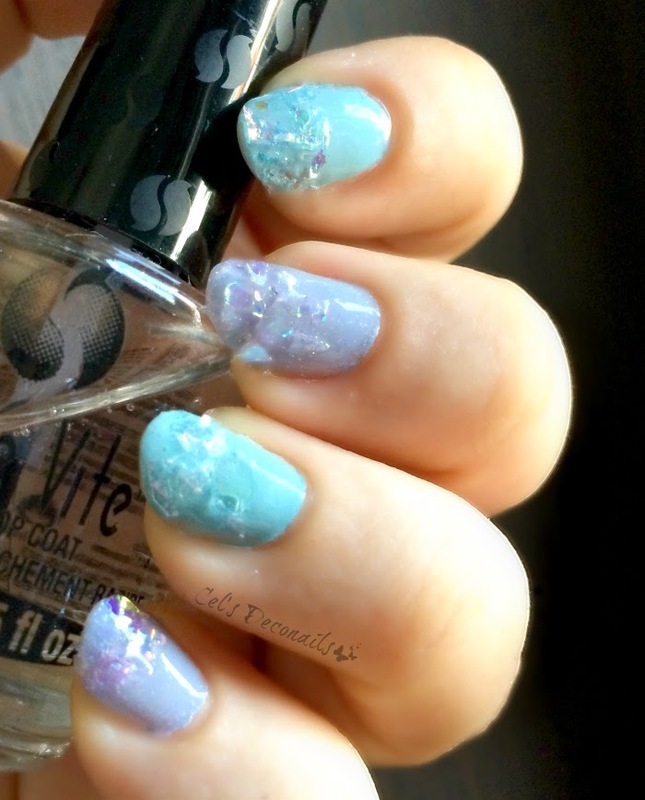 Spring is perfect for pastel nails so here is a fun and easy nail art tutorial if you want to try out this manicure. First paint your nails with your favourite pastel nail colours. 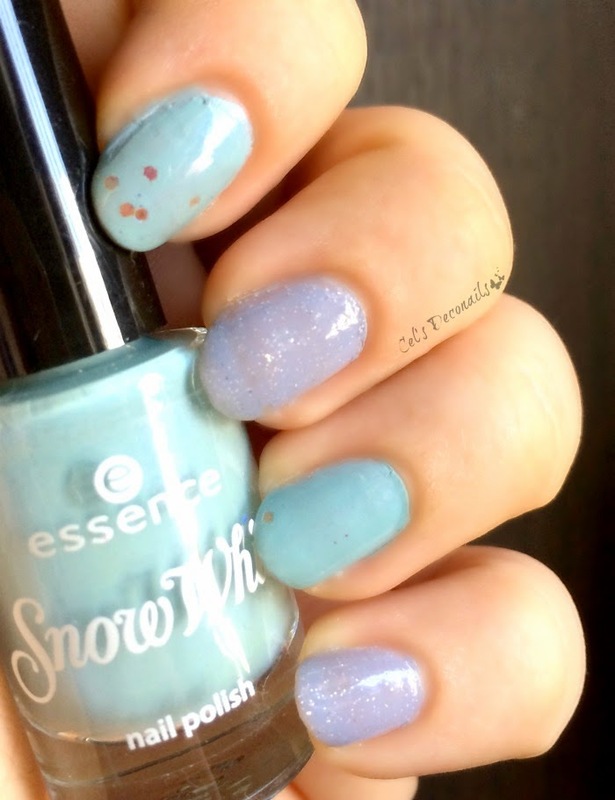 I used Dopey and Sleepy from the Essence Snow White trend edition. After your nails are dry, you will need your favourite top coat, crushed shell dust in the colours of your choice and a nail art brush that is good for applying glitter. 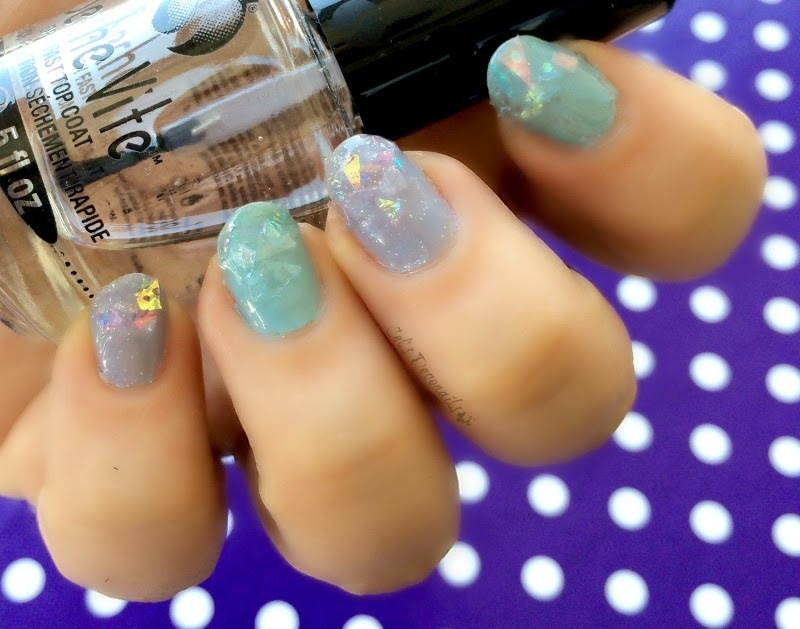 First apply top coat on your nail, dip the brush in the crushed shell dust and apply on your nail. Use an orange stick to rearrange the shells if needed. Then one or two more coats of top coat and you are done. Would you try this dear readers? 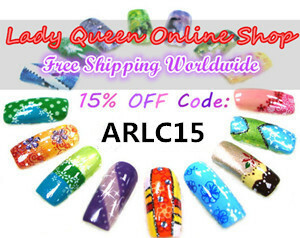 The crushed shell dust and nail art brush have been provided to me by Born Pretty Store for consideration. I've never tried these crushed shells, they are sooo pretty!